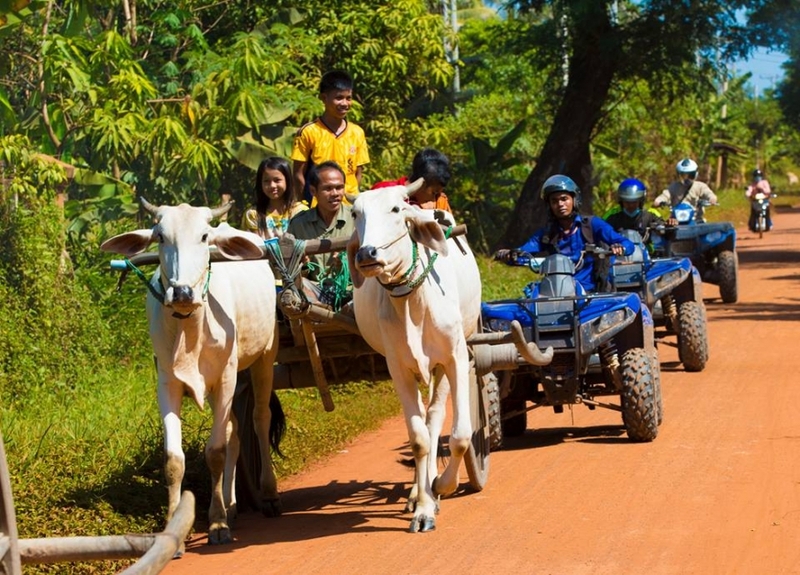 At arranged time we will send a tuk-tuk to pick you up from the hotel and transfer to the Cambodia Quad Bike office. After a safety briefing and familiarisation training ride you will follow our professional guides on motorbikes to the farming communities surrounding Siem Reap. The road lies among scenic rice fields, houses on stilts, and banana plantations. During the tour you will visit ruins of Prasat Prey Monti – one of the oldest temples of ancient Angkor. You will get a chance to stop at couple of local farms and workshops. Passing Kork Srok village you will be able to see Khmer bats sleeping on trees in their natural habitat.